Talented Tanzanian singer, Rayvanny comes through with his first song of the year and this one is titled “Tetema” and has him teaming up with label leader, Diamond Platnumz to make this a song you just must hear. 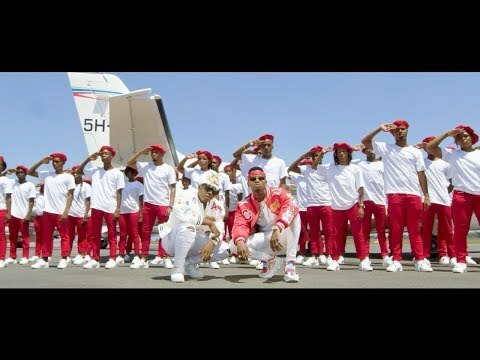 This new song is not just the first we are hearing from Rayvanny this year, it is also the first song he is releasing since November last year when he teamed up with the same Diamond Platnumz on “Mwanza” and even though that hasn’t stopped him from featuring on other songs, it’s good to finally hear from him this new year. Prior to the release of this new song though, Rayvanny already made an appearance on Krizbeatz and Ceeboi‘s “Put It” alongside Yung6ix earlier this month and this song to kick off his own music year is not bad at all and can only be a sign of better things to come. “Sikupendi”, “Chombo”, “Pochi Nene”, “Mwanza”, “Paranawe”, “Wasi Wasi” are some of the songs that Rayvanny released last year alone and having started early this year, we expect even better from him and recommend that you get on this right away.